Step into a new neighborhood of luxury at Notch 8. This stylish community offers generous floor plans with high-end fixtures, 9-foot ceilings and gorgeous hardwood floors. On site you’ll find a state of the art fitness center, pool and lounge. What’s more, you’re only steps away from Potomac Yard Park and the scenic Mount Vernon Trail for running and biking. Notch 8 offers easy access to Metro and public transportation and is a quick walk from both Del Ray and Old Town Alexandria. At The Frasier, it’s the smallest of details that make the biggest impact. Units feature terraces, floor to ceiling windows, kitchens designed to maximize counter space and extra storage space. In the courtyard, a waterfall and fire pits elevate your swimming and grilling experience. Restaurants, grocery stores, green spaces and the Mount Vernon Bike Trail are just minutes from your front door, making The Frasier a tranquil oasis without compromising on necessary conveniences. 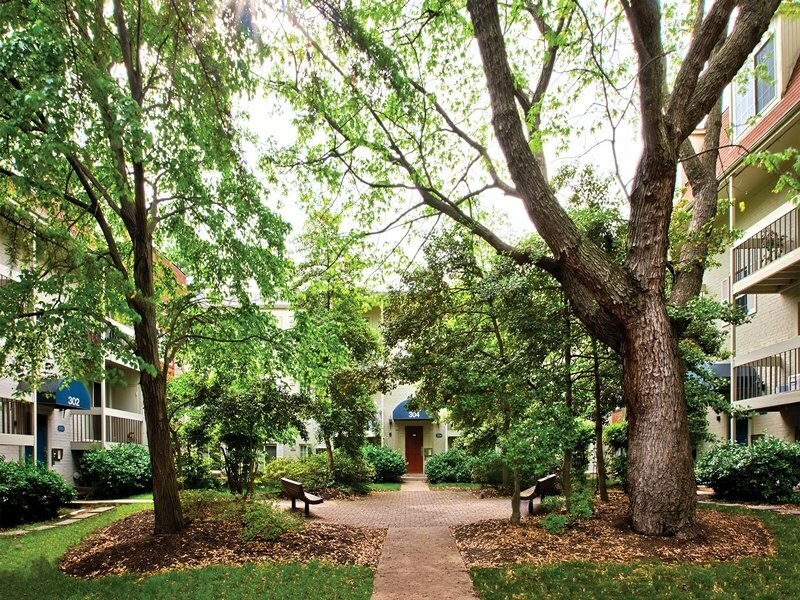 Foxchase Apartments in the Landmark neighborhood makes coming home an absolute treat. You’ll have your choice of apartment or townhouse units set in tranquil tree-covered green spaces, each with its own private balcony. Four pools and three gyms dot the community and access to Ben Brenman Park and the scenic Holmes Run Trail is just minutes away. Less than three miles from the Van Dorn Metro, this pet friendly community is close to Landmark Mall, numerous grocery stores and Port City Brewing! Modera Tempo excels at giving residents easy access to any and everything they might need. The community offers 44 floor plans so you can select the perfect home layout. There’s also a 24-hour fitness center, two pools and a dog spa on site. 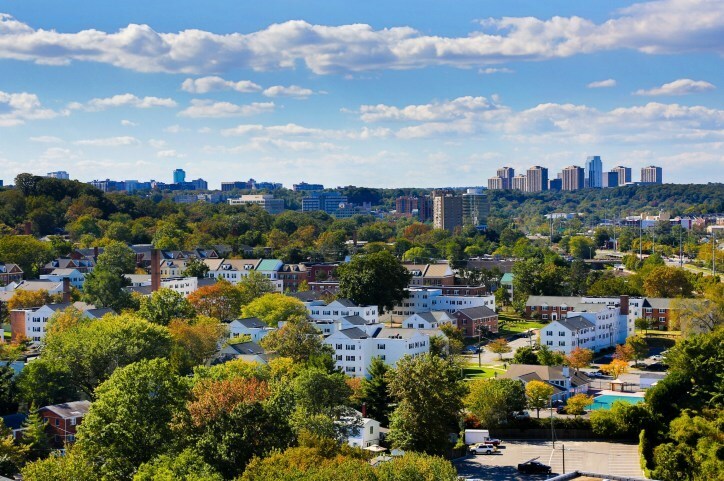 Armisted Booth Park is virtually your backyard and the Van Dorn Metro is just a short walk away. This lively area of Alexandria will quickly feel like home while Modera Tempo’s chic social areas will provide the perfect backdrop to unwind at the end of a busy day. 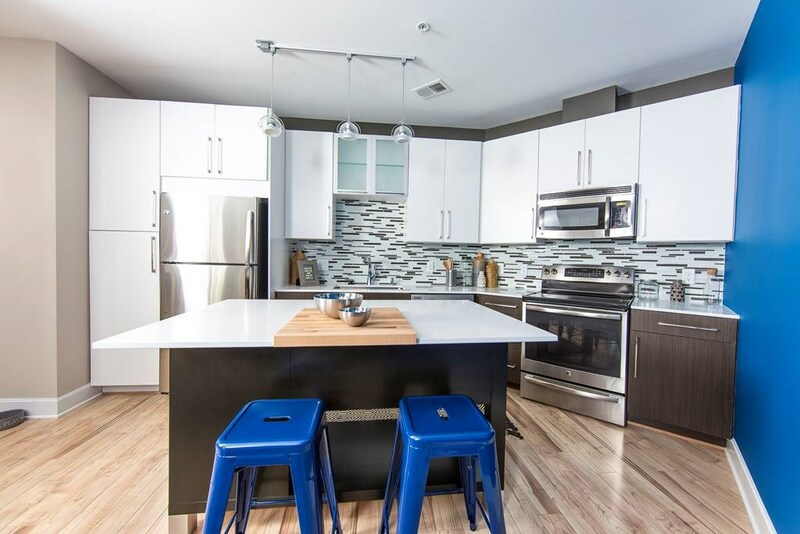 Situated halfway between Old Town Alexandria and Arlington, Avana Alexandria is an ideal location for quick access to everything that NOVA has to offer. Major highways are near at hand and the King Street Metro and the endless foodie dining options of Old Town are under three miles away. Units boast oversized layouts, bay windows and gourmet kitchens while the property will allow you to fine-tune your tennis and swimming skills over views of the DC skyline. Tucked into a curve of Four Mile Run stream and park, Park Vue of Alexandria lives up to its name. 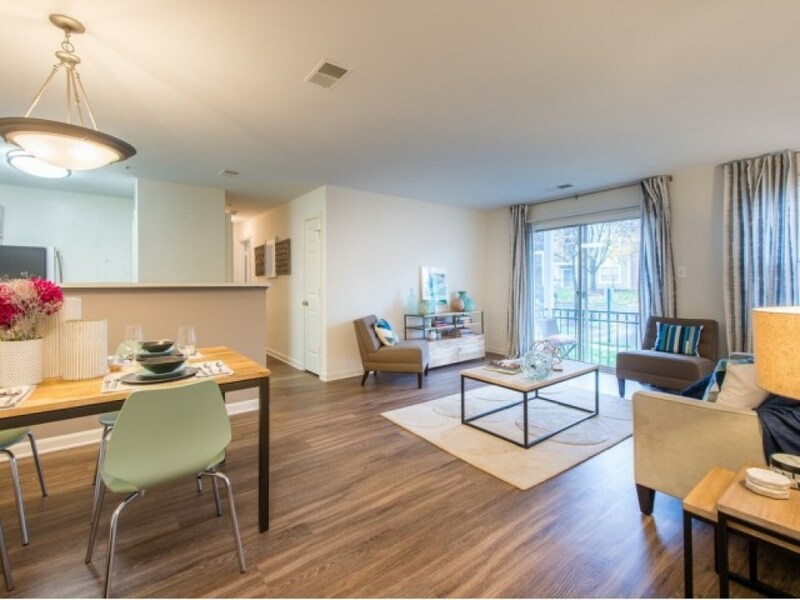 Upper units have views of the park, Potomac River or DC skyline, the community is pet friendly and every apartment has oversized living spaces. Park Vue’s gated access will give you peace of mind while still being close to all the conveniences you need. Potomac Yard, Crystal City and Old Town are all within minutes drive and there’s an excellent farmer’s market just a block away. For those who like to entertain, Baileys Crossing offers the perfect blend of elegance and comfort for you and your guests. With a fully stocked clubhouse, game room, pool deck, barbeque picnic area and generous apartment layouts, you’ll never run out of places to entertain and relax. This community is pet friendly (with a dog park!) and provides a complimentary shuttle to Metro six days a week. Dining and shopping are close by at Baileys Crossroads and the green oasis of Barcroft Park is the next street over. 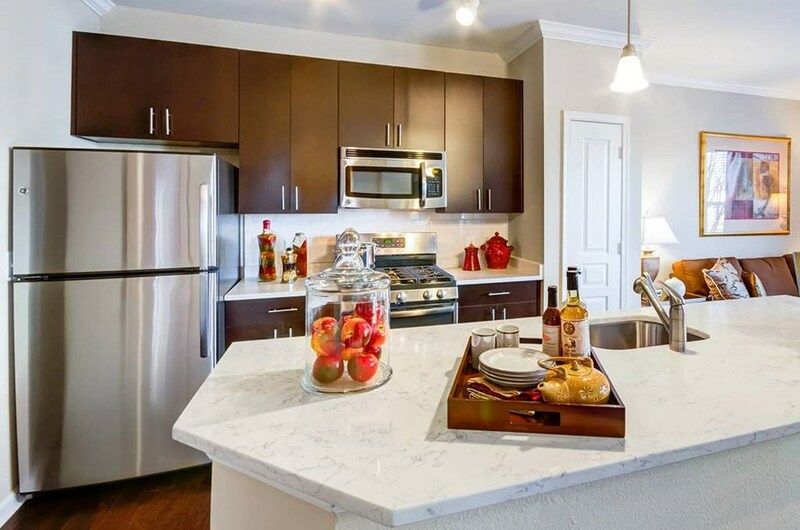 At the Edgemoore you’ll be treated to spacious layouts (most of which feature a wood-burning fireplace and balcony), high-end amenities and gourmet kitchens. Less than two miles from the Franconia-Springfield Metro, I-495, Springfield Towne Center and the lush Huntley Meadows Park, Edgemoore is ideally situated to give you breezy access to anything you might need. 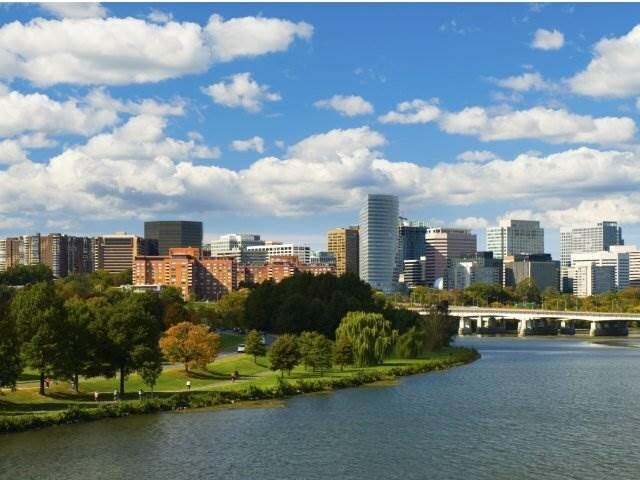 While DC is accessible by car or Metro, the open spaces, resort-style pool and on-site dog park provide a reprieve from the hustle of the city. Nestled into a pocket of Springfield near the I-395/I-495 junction, Sullivan Place has everything you need to feel right at home. Nine-foot ceilings with crown molding, fireplaces and large layouts with plenty of storage provide airy living with sophisticated touches while the pool, hot tub, clubhouse, basketball court and fitness center (with free classes!) will keep you entertained in your down time. Free shuttles to the Van Dorn Metro make getting to downtown DC or National Airport a breeze. Old Town Alexandria is the one of the most charming neighborhoods in the greater DC area; it has the perfect blend of history, architecture and locally-owned businesses. Post Carlyle Square puts you near all that charm without being on top of it, although the rooftop terrace and pools will give you views over it all. Apartments have soaring ceilings, high-end appliances, hardwood floors, and balconies. At just 0.3 miles from the King Street Metro station, you can seamlessly access Metro and any part of the DMV you desire. Del Ray is quickly becoming one of the most sought after neighborhoods in Northern Virginia given its close proximity to DC, abundance of boutiques and growing restaurant scene. 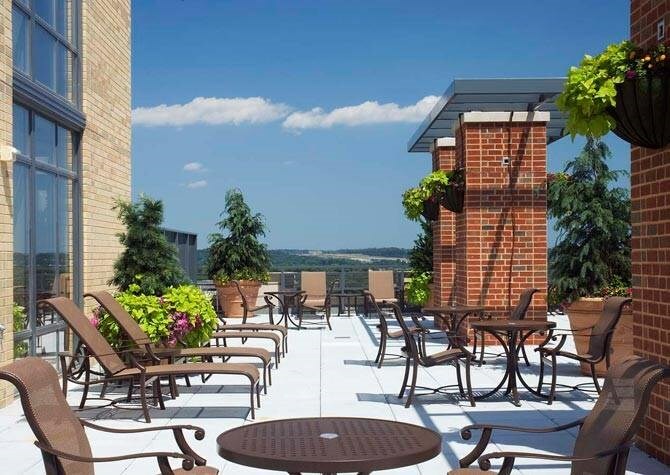 DelRay Tower places you near all of this and from the rooftop track and terrace you’ll experience views of Old Town Alexandria and the DC skyline. 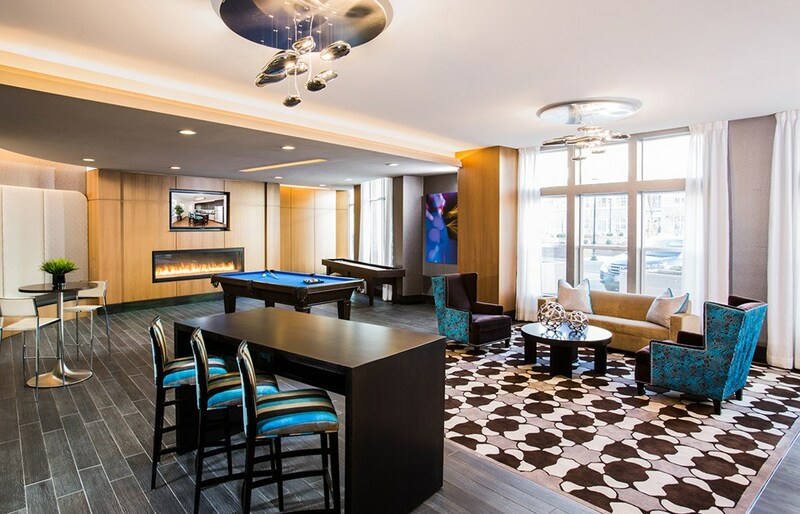 Expect your apartment to deliver a blend of deluxe amenities and comforting touches while the fitness center, pool, dog park and social lounges provide a relaxing escape at the end of the day. If you’re looking for a seriously scenic place to call home, look no further than Bridgeyard. This apartment community is situated on the bank of the Potomac River providing unobstructed views of the River and Belle Haven Park. The Mount Vernon Bike Trail is just out your front door and all of the gems of Old Town are a quick walk to the north. Bask next to the riverfront pool, kayak or Paddleboard from your backyard or hop on Braddock Road Metro to head into the city. The Beacon of Groveton brings a new level of elegance to the Groveton neighborhood. Pet friendly, ultra sophisticated, spacious, and inviting, this apartment community is just what you need to feel at home. Expansive and plush common spaces compliment sleek kitchens, modern style elements and high ceilings. Beacon Center is located across the street and daily shuttles are provided to Huntington Metro. Need to get outside? Huntley Meadows and Belle Haven Parks are just a quick drive away. Huntington Gateway truly lives up to its name, providing a gateway to all of the DMV. A private shuttle will ferry you to and from Huntington Metro or easily hop onto the Beltway. Old Town Alexandria and its plethora of restaurants, coffee shops and boutiques as well as Belle Haven Waterfront are within walking distance. From your apartment – with floor to ceiling bay windows, built in bookcase and fireplace – you’ll have views to impress. 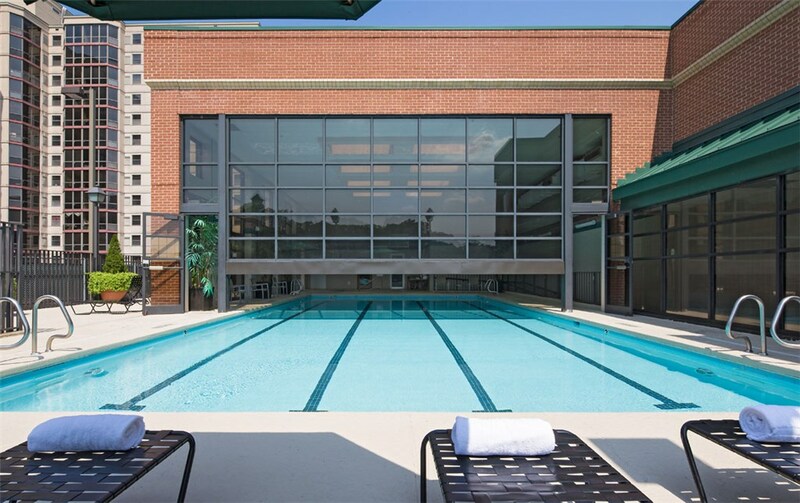 Swim laps in the indoor/outdoor pool or brush up on your tennis skills.